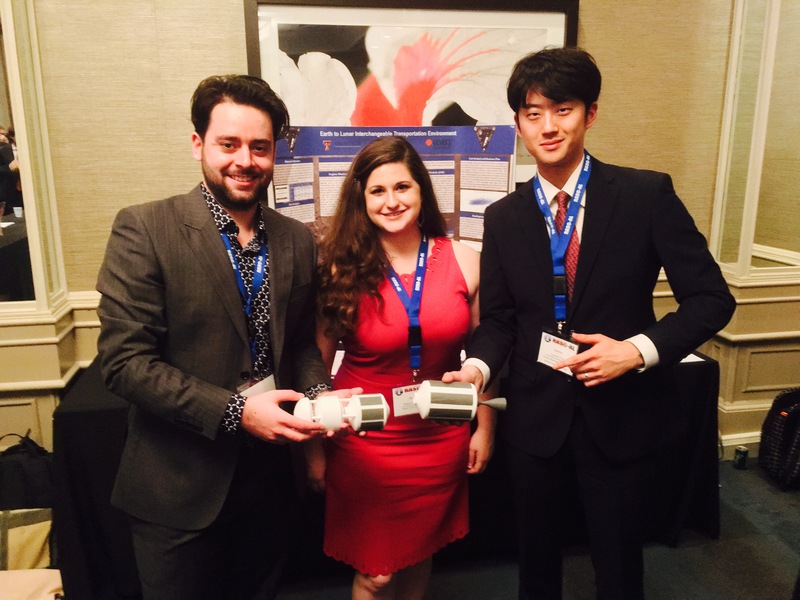 ﻿Students from KAIST’s Department of Aerospace Engineering won the Best in Theme Award at Revolutionary Aerospace Systems Concepts–Academic Linkage (RASC–AL), an aerospace mission design competition organized by NASA. Supervised by Professor Jaemyung Ahn, the students representing KAIST were Jaeyoul Ko, Jongeun Suh, Juseong Lee, Sukmin Choi, and Eunkwang Lee. They formed a joint team with students from Texas Tech University and the Royal Melbourne Institute of Technology. The joint team passed two preliminary rounds and was selected as one of the 14 teams to attend the finals from May 30 to June 3. Out of the four themes, the team participated in Logistics Delivery System and won the Best in Theme Award. RASC-AL, organized by NASA since 2002, is an annual competition where students compete in themes on innovative aerospace systems and missions. The themes for this year’s competition were lightweight exercise suite design, airlock module design, a commercially enabled low Earth orbit/Mars habitable module, and logistics delivery system design. For the past eight months, the KAIST students have been researching logistics delivery systems for long-term manned moon exploration with members of the joint team. Long-term manned moon exploration can involve unpredictable events, especially in the initial stages. To address such unpredictability, the team developed a flexible system that maximizes the cost effectiveness of logistics delivery. The Department of Aerospace Engineering at KAIST encourages system-centered thinking, and this laid the foundation for the team’s success in their first RASC-AL attempt. The KAIST team poses for a photo after the awards ceremony. The students, from left to right, are Juseong Lee, Jaeyoul Ko, Sukmin Choi, Jongeun Suh, and Eunkwang Lee. The photo on the right is the Best in Theme Award.